Sometimes you don’t have time or resources to go digging through code to figure out why your site doesn’t rank, but the truth is that many of the most significant fixes you can make take just a few clicks to enable. That, or maybe you just need to organize your content headings to be more readable. Don’t Block Your Site From Google! Most CMS platforms have the ability to completely block your site from search engines like Google. Often this setting is turned on during site development so the pre-launch staging site doesn’t get indexed, and sometimes this setting never gets turned off! So, make sure your launched site isn’t telling search engines to ignore it. In WordPress, open up the Administration Dashboard (often found at www. 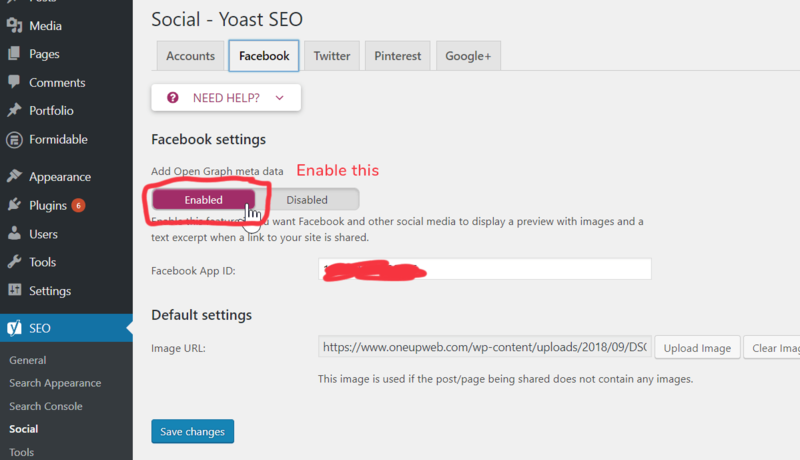 [your site address]/wp-admin), open Settings > Reading in the left sidebar, then scroll to the bottom and ensure the “Search Engine Visibility” box is NOT checked. 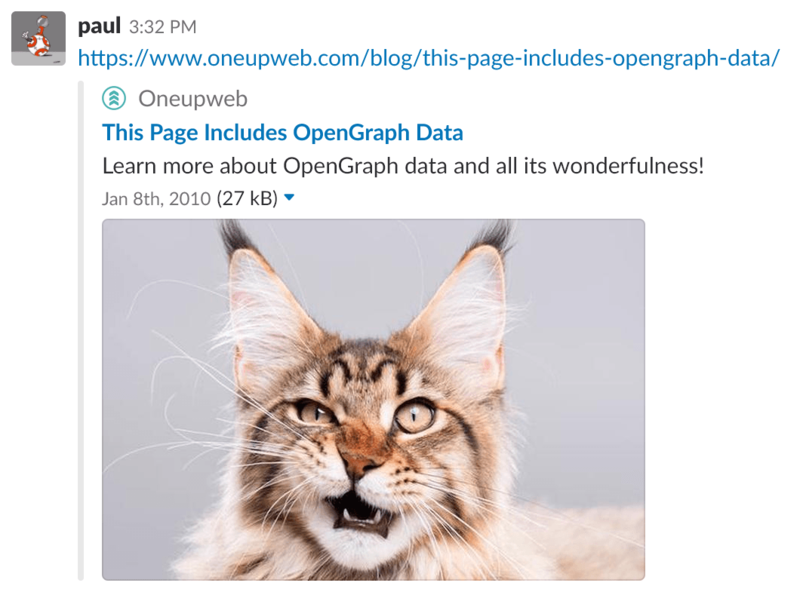 OpenGraph is a form of metadata added to your site’s header code that tells social media platforms, search engines and communication tools like Slack or iMessage how to show a preview snippet of the information contained on a page. Turning on OpenGraph will not only give search engines better information about your site, but users who see your shared pages and articles will see much richer content and be much more likely to click through. Only a very specific subset of ornery curmudgeons would find enjoyment in playing click-roulette with such an unformatted URL-based link. Aren’t you much more likely to click this? Pro tip: Not only is this important for SEO, it will also help your site to meet best practice accessibility standards for disabled users. 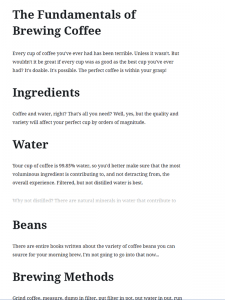 It’s common for many sites to have a completely flat hierarchy of content headings, that is, all the headings are at the same level. Gah! Everything’s an H1! That’s a lot of content to quickly parse, and everything seems to be the same level of importance. Was it an old SEO myth that caused so many websites to end up with content hierarchies like this? If every header is an H1 (a main header), Google will treat everything as important? Well, whether that was ever effective or not, it certainly isn’t today. Perhaps most important: it’s hard to read. Who cares if your article is at the top of the SERP if users bounce as soon as they see that wall of text? Proper headings are logical and eye-pleasing and allow users to quickly scan your content and decide if the article is worth their time. When a user is truly invested in your content, they’re much more likely to convert. Headings also help Google and other search engines understand what your article is about. That means the search engines are more likely to feature your article or page as “relevant” and serve more qualified traffic. So, break up your content. Use H1 just once near the top for the web page or blog post title. Use H2s as major subheadings, like chapters. Use H3s to separate subsections. Here relevance is clearly organized the size of the heading. 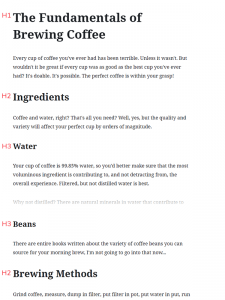 Water and Beans (H3) are subsections of Ingredients, which is a major section (H2) in this long form article titled by the H1. Much nicer to scroll through, right? See, that wasn’t so hard. These are just a few of the slight changes you can make that will have a drastic impact on your search presence, user experience and visitor retention. We’ll have more parts to this series in the coming weeks, but in the meantime, if you’d like some help making these changes or would like a full audit of the content, usability or accessibility of your site, talk to us.